So you may have seen this from us. The stars were right, and we bought a next generation console yesterday – an X-Box One. There were financial things that lined up – credit card rewards, a great sale at the store (buy a console, get a free game! Hello, Tomb Raider! ), and even a coupon for a cheaper controller (because, there’s two of us gaming…). And hey, Fallout 4 came with it, why not? We chose one without a Kinect, we liked 1TB over 500GB… but all of these are just pieces on the what we got. But why get it? What moved us this way? We’ve talked before about considering the new generation – and when we reached a decision point on it before almost two years ago, we bought a PS3 instead to play exclusives we missed there… many of which are sitting on a shelf still here in the house… So what changed? I’ve been playing more Dragon Age 2, with the plan of finally beating it before the next game comes out! With thinking about that, I am realizing we haven’t really commented on what’s going on with Dragon Age really since we talked about Dragon Age Keep. We’ve been looking forward to this since the early days of the blog! We had fears about this game – mainly about what consoles it would be on. And then fears, based on our experience of the Bioware games in recent years. But despite all of that, I am hopeful for the game! Not much else to say as an introduction, so… have this trailer! I feel like we’ve played a lot of video games lately – I think we moved into a video-game phase when we bought a new (for us) console, the PS3. And I don’t feel like we’ve written much about the games we’ve played lately, because we’ve almost moved too quickly through them. We’ve mentioned them in passing, as we’ve started them. Or as we finished. And maybe that’s okay, as many of these games have been out a while. Maybe the point where talking about them is interesting has passed. However, I’m sure there are many games you, faithful reader, are also considering and haven’t played yet. So maybe we’ll spark a thought for you. 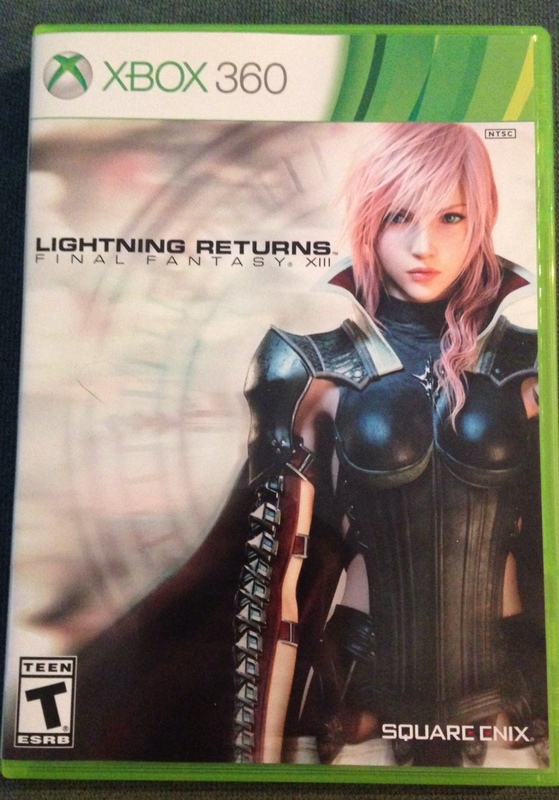 Lightning Returns arrived today (finally!) and I have a feeling it is going to consume our time, and pull us away from other games. Which is too bad, but it also means I kind of want to get these games out of my system before we move completely on! So here’s a lightning round (pun intended?) of the games we’ve been playing lately, my quick thoughts and recommendations on them. Onward!